Please join me in welcoming Jennifer Gooch Hummer author of the debut novel Girl Unmoored to For What It’s Worth today. “Apron Bramhall has come unmoored. It’s 1985 and her mom has passed away, her evil stepmother is pregnant, and her best friend has traded her in for a newer model. Fortunately, she’s about to be saved by Jesus. Not that Jesus—the actor who plays him in Jesus Christ, Superstar. Apron is desperate to avoid the look-alike Mike (no one should look that much like Jesus unless they can perform a miracle or two), but suddenly he’s everywhere. Until one day, she’s stuck in church with him—of all places. And then something happens; Apron’s broken teenage heart blinks on for the first time since she’s been adrift. Writers will always tell you to read as much as you can. And it’s true. But just as important, I think, is to listen. Real dialogue (inner and outer) is not spoken the way we tend to write it. It’s staccato, incorrect, and sometimes even a little piercing. Stepping back and really listening to what kids and teens are saying is, like, so totally super important it’s not even funny. 3. Think like a dog. My dog stares at me all day. And when she’s not staring, she’s following. Closely. Six inches away closely. It can be dangerous when carrying a load of laundry up and down stairs. Of course I have no idea what she is thinking, but I imagine there’s something going on in there, so I try to see the world through her eyes. And it’s usually a little scary. Being twelve inches tall means that everything she sees is either gigantic or threatening. I think this is the same vantage point for most kids. Growing up is scary and to create a convincing character it’s important to incorporate a little of that fear. It doesn’t have to be a conscious over-the-top vampire-ish fear. It can come out as sassy or sarcastic, or conceited. But for me, a convincing younger character has to have at least a little apprehension about becoming an adult. Thinking like a dog reminds me to see the world from a different vantage point. I should have chosen a taller dog, now that I think about it. About Jennifer: Jennifer Gooch Hummer has worked as a script analyst for various talent agencies and major film studios. Her short stories have been published in Miranda Magazine, Our Stories and Glimmertain. She has continued graduate studies in the Writer’s Program at UCLA, where she was nominated for the Kirkwood Prize in fiction. Currently, Jennifer lives in Southern California and Maine with her husband and their three daughters. Girl Unmoored is her first novel. Great advice! I've read so many YA books w/unrealistic, formal language. It always makes me cringe. I also love that Jennifer interrogates the kids. I do the same thing, only b/c I'm super inquisitive, I guess. 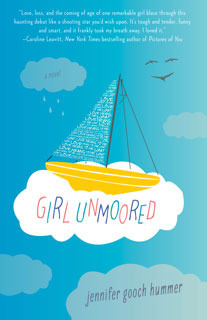 I am reviewing Girl Unmoored soon. I'm really excited about it. I'll be looking forward to your review! Such a cute cover. Think like a dog is interesting advice! Ha, I love the story about her kids but that's really true. I'm glad she's dedicated to trying to make her characters feel as authentic as possible. Great post! It's hard to find authentic voices in YA. It ruins the whole story for me when the characters voice is off. I used to say "like" & "cute" all the time when I was a teenager. Everything was like cute! 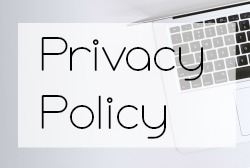 This post is so valuable! I agree. The other day, I was asking my little cousin if she had trouble viewing the chalk board at school and she asked, "What's a chalk board?" I just about died laughing! Of course, that's a relic to her. 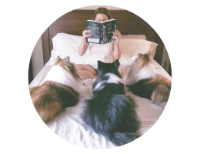 I'm not a writer, but I love to read, and dialogue is a biggie for me. It really bothers me when it doesn't sound natural. It can throw the whole story off. this is such a great interview. the question portion was just too funny. and the dog's perspective is quite interesting and true.